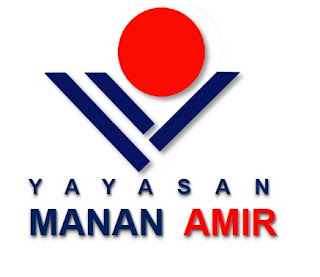 The Yayasan Manan Amir Scholarship is a scholarship founded by Yayasan Manan Amir in 2017 with the objective of assisting aspiring students in local higher institutions to complete their studies. This scholarship covers tuition fees only. The scholarship of RM 5,000 will be awarded to one or more student(s), depending on the students’ needs and the discretion of the scholarship team. We invite students who fulfil the eligibility criteria given to submit an application. The Yayasan Manan Amir scholarship is a bonded scholarship. Recipients shall be required to undertake charity work including teaching English and Mathematics to local primary or secondary students in Kuala Lumpur or Selangor during semester break for the entire academic years. Recipients are expected to maintain a satisfactory academic results (minimum CGPA of 3.0), as well as participating actively in co-curricular activities or community service activities. How to Apply Yayasan Amir Scholarship? Please complete the online application form and submit your completed application by 20th May 2017. Shortlisted applicants shall be notified and are required to attend an interview. Only successful candidates shall be notified by 3rd June 2017. If you do not meet part of the requirements but would still like to apply for this scholarship, do send us an email at [email protected] clarifying your situation and we may consider it. You can also send us an email if you have any questions about the requirements / scholarship. We look forward to reading your applications!